DAY TWO: NHA School completes another year of success!!!!! and watch that child receive his grades for the school year just ended. in this area and children either helped their parents at the farm or walked miles to a school. has been a tremendously favorable outcome for all involved - students, parents, teachers - the entire village. 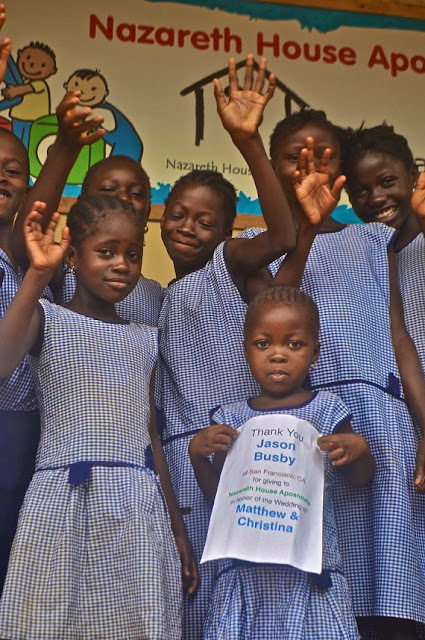 Without the generous donations of those who support Nazareth House Apostolate and their work in Sierra Leone, none of this could have been possible. But because of the compassion you have, the work continues and everyday this village in Kabala is working towards self sufficiency. Because of you, children have brighter futures. We've got a long way to go, but we're making progress. Thank you all for your prayers, love and support. As school enjoys a Summer Break, we consider the needs of the next school semester. We need your help for NHA to continue to provide good education to more students. We'll be needed to provide more uniforms and expand the classrooms. This takes funding, as always, let's spread the word.